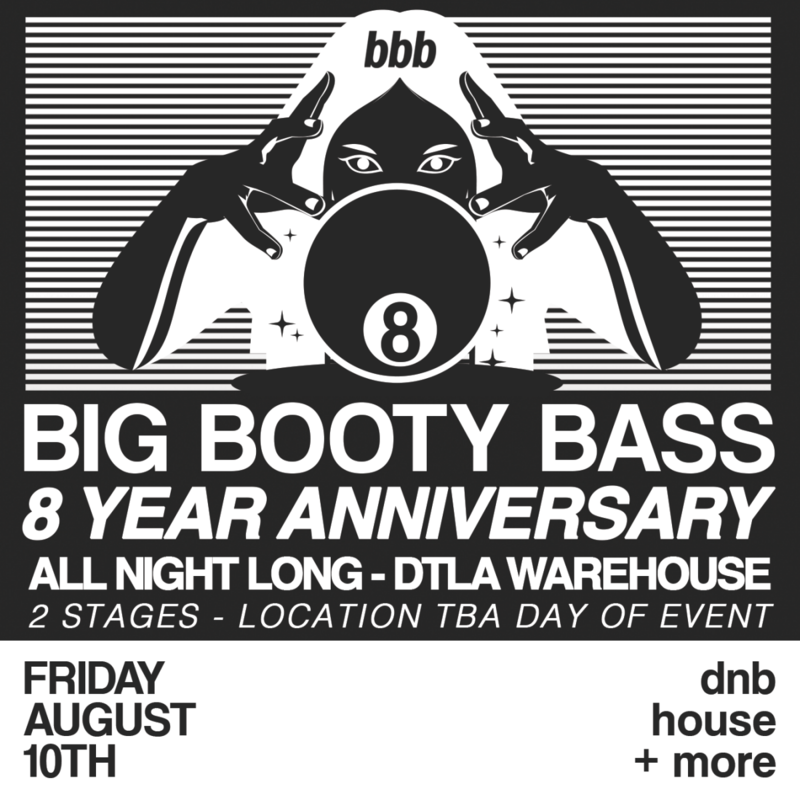 BIG BOOTY BASS returns Friday, August 10th for a very special 8 year anniversary party! 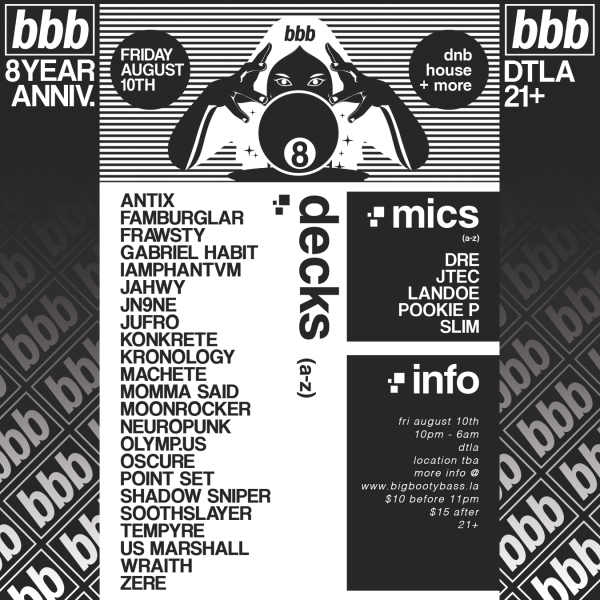 Come celebrate with us all night long at a unique DTLA warehouse location featuring 2 banging stages, awesome lighting, full bar, vendors, food and so much more!  We will be serving you up all the DnB, House & Breaks for this one!